Seventy per cent of high-performing companies will manage their business processes using real-time predictive analytics or extreme collaboration by 2016, according to Gartner, Inc.
One of the more effective techniques for business process improvement is intelligent business operations (IBO), in which processes are "aware" of and can learn from a wide range of work interactions, their context and the situations around them. Once a situation is sensed, analytics can be applied actively or on-demand to predict the outcomes of potential changes. "The impact of integrating real-time analytics with business operations is immediately apparent to business people because it changes the way they do their jobs," said Jim Sinur, research vice president at Gartner. "The most dramatic change is the increased visibility in how the company is running and what is happening in its external environment. Individual contributors and managers have more situational awareness, so they are able to make better decisions faster." As a result, organisations with real-time analytic and decision management capabilities perform better. Improved situational awareness leads to better and faster decision making and superior customer service, revenue growth, cost reduction and risk avoidance. Gartner said that virtually every business operation has one or more areas where real-time analytic services or active analytics should be applied. "It has been technically possible to implement real-time analytics in transactional and record-keeping operational applications for decades. However, few business processes or operational applications have actually used them until recently," said Mr Sinur. As the sources of business event data proliferate and business application management, complex event processing, rule management, visualisation, business process management (BPM), optimisation and other software tools improve, IBO is rapidly becoming a more practical and popular solution. "Human or automated actions can be initiated for proper decision making to achieve the desired business outcomes. If the situation dictates, knowledge workers can collaborate in and around the process, case or instance to decide on and effect change," said Mr Sinur. "We fully expect more organisations to leverage IBO in the future, resulting in innovative differentiation and higher performance. An example is work routing based on incoming arrival rates, where the knowledge required and skills needed are dynamically matched against resources available in-house, with dynamic expansion to non-employee resources as needed." Many organisations are finding at least one critical process that has appropriate leverage for higher performance, examples include intelligent fleet management and intelligent prescription management processes. Gartner said IBO will be a significant differentiator for high-performing companies and it promises to deliver new differentiating processes that will impact on both new and established industries. Gartner advises business process directors and solution architects in all types of organisations (if they haven't already done so), to assess their organisations' likelihood of adopting IBO for a critical or differentiating process. This will then allow them to investigate IBO-related technologies, look for opportunities to carry out an IBO proof of concept and pilot IBO on at least one process in the next two years. At the same time, it is advisable to undertake a scan of competitors to establish if they are leveraging IBO against their organisations. Jim Sinur will discuss in more detail how IT leaders can leverage modern technology in BPM and sell BPM programmes to the C-suite at the Gartner Business Process Management Summit 2013, 13-14 March, in London, UK. For more information please visit europe.gartner.com/bpm for more information. Members of the press can register to attend the Summit in London by contacting rob.vandermeulen@gartner.com. The US Summit is taking place in National Harbor, Maryland, US on 2-4 April 2013, please visit www.gartner.com/us/bpm for more information. Members of the press can register to attend this event by contacting Janessa.rivera@gartner.com. 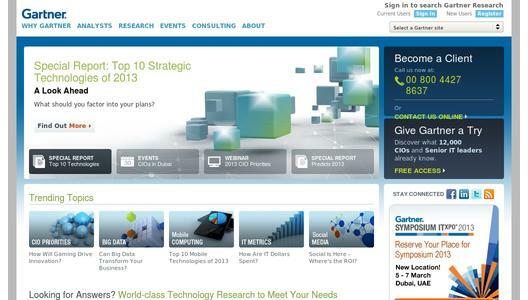 You can also follow the events on Twitter at http://twitter.com/... using #GartnerBPM. 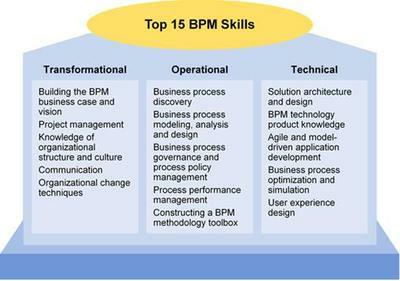 BPM can be fraught with challenges, due to the scale and breadth of skills, attributes, and tools needed to be successful. For those new to BPM, the Summit will help delegates take the first steps, establish the skills required, and identify the right technologies. For those who are more experienced, the Summit will provide visibility into the future and help them learn to make their processes smarter with intelligent business operations, and gain insight into the "next generation BPM". The "next generation BPM" aims to transform the way the business operates.